WordCamp is a conference that focuses on all things WordPress. These informal, community-organized events that are put together by WordPress users. 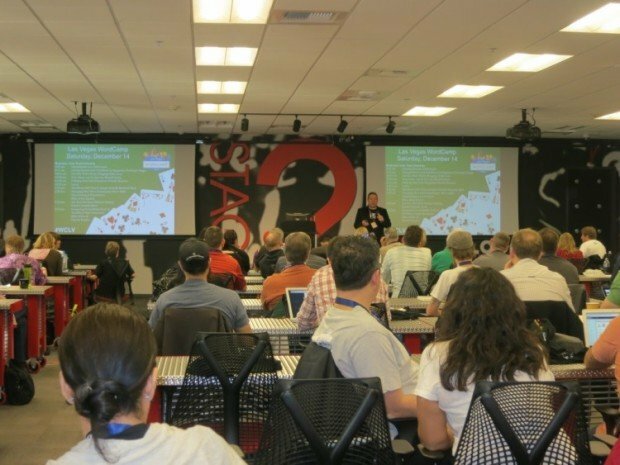 The #VegasTech community has had a rich history with WordCamp events. 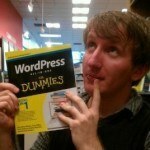 WordCamp Las Vegas has been taking place since 2009 and John Hawkins was the original Lead Organizer from 2009 – 2013. This year, business owners, bloggers, designers, developers and other advocates of WordPress will gather on September 19-20, 2015 at The Innevation Center to learn, discuss, and network at the 7th Annual WordCamp Las Vegas. Aaron says each WordCamp event provides a unique learning opportunity for anyone in the WordPress Community. This year, the WordCamp Las Vegas organizing team consists of many of the same community members who organize the Las Vegas WordPress Meetup Group. This year, Las Vegas WordCamp is taking a step back from the Las Vegas lifestyle theme that has been used traditionally. Aaron says WordCamp Vegas started off much like other WordPress events throughout the word. The team had a very low budget and the event’s success relied on getting local companies to donate their services. For the past 3 years, a major partner for the event has been The Innevation Center. The organizing team is looking for additional community sponsors. Businesses and individuals in the #VegasTech community looking to get involved can donate their services too. Simply contact Russell Aaron through the 2015 vegas website. In addition to sponsorship, anyone looking to volunteer at the event is welcome to get involved.